With the growing business of online stores and jobs, having your own Paypal account is a must. Paypal is the transaction medium for money that is being used to pay a merchant or an online store at ease. It can also be use for those who have an online job to receive payments for the work done. These two things are the most common use of Paypal but it is not limited to these services. Although creating a Paypal account is free, using its full ability is another story. You can’t fully use your Paypal account until you get verified. 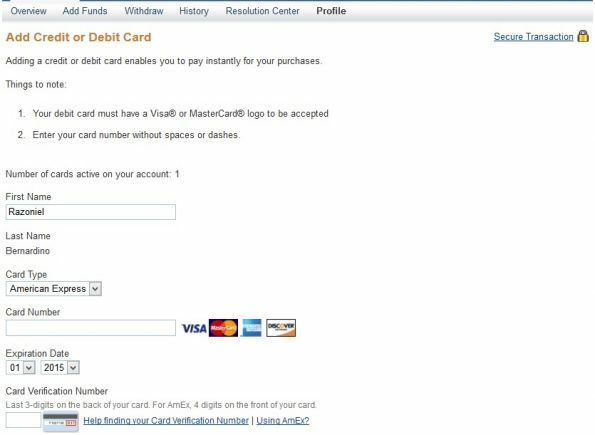 Paypal requires a debit card, credit card or a bank account for this verification process. However, not all of us have these things to get verified. Fortunately, there’s a way to be verified – NOT A TRICK AND NOT A CHEAT. September 12: Maintaining balance on doing GCash transactions is not needed. All transactions are free of charge (except for Cash In to others or Cash Out). | Updated current rate for charges on GCash AMEX linkage to paypal. Globe Telecom recently offered the American Express Virtual Pay (AMEX) that can be use to verify our paypal account. And the great thing here is that Globe offers a free subscription for the service for Globe/TM users until December 31, 2015 (Regular annual fee is P250). Learn more about the service here. Using your phone, dial *143# then select GCash then Register and fill out the information that will prompt to you. Make sure you have at least 1 peso load to do the transaction. You will be asked to input your MPIN, it’s a 4 digit code combination that will serve as your password and will be use everytime you will deal with GCash. Do not share it to anyone for your own protection. After the registration, you will receive a text message indicating that your registration is successful and you can now proceed to KYC to start using your GCash. Go to a nearest Globe store or any accredited Globe GCash outlet to be KYCed. Not all outlets offer KYC service. Go check it by yourself. I did mine on a Villarica Pawnshop branch. Know Your Customer (KYC) is a process required by Bangko Sentral. This is a one-time process that will enable you to be fully eligible for GCash service. Bring 1 valid ID and fill-up the form given to you by the assisting personnel. Also, bring your globe phone with you and make sure you have a maintaining balance since you need to reply in a text approval for the process. This is FREE. You won’t be charge for this. Look for the nearest GCash Full Service + KYC Outlet here. Note: If you are a postpaid subscriber, you are automatically KYCed. Proceed to Step 4. Fund your GCash account of about 150 pesos. (This is for Paypal Verification process. Keep reading to see more details.) You can do this by asking the branch where you were KYCed to fund your GCash account. There is no transaction charge for this. You will only pay for the amount funded in your account. Other ways to fund your GCash wallet is through BancNet ATMs, a Globe Store or Outlet or by converting prepaid load to GCash using this tool: https://mygcash.globe.com.ph/gcashamex/index.php/main/prepaid_cashin. Take note that there is an additional 15% fee for the transaction when you convert prepaid load to GCash. This is not a smart choice not unless you are in a hurry in funding your account and it is the only way possible. Once you have a GCash account and already KYCed , you are now eligible to apply for American Express Virtual Pay and fully utilized the service. You can apply using your phone by dialing *143# then navigate to GCash menu and look for GCash AMEX option. You can also register online by filling up the form in https://mygcash.globe.com.ph/gcashamex/. 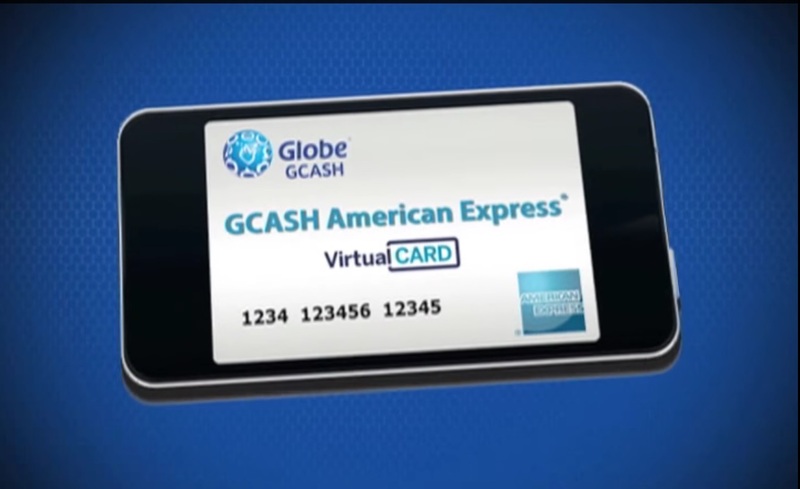 Globe GCash will send you a text message after successful application. 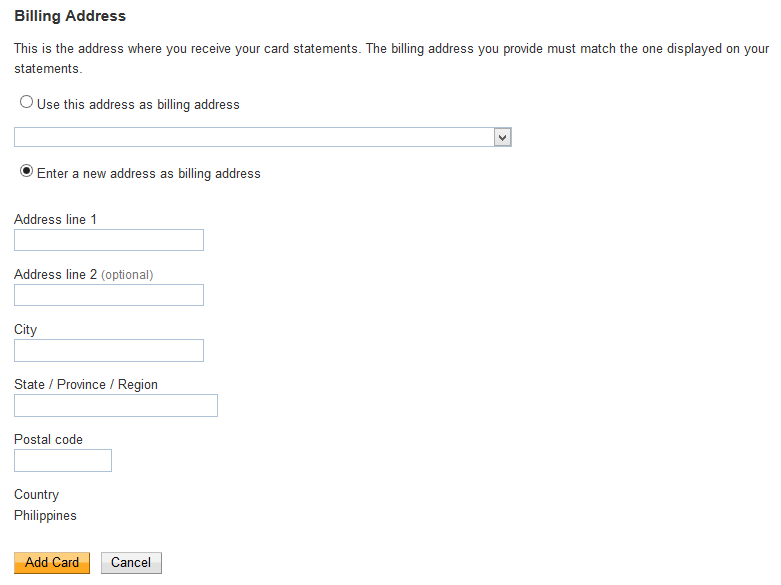 It contains information like virtual/personalized address, card expiry date and default pin/security code. Keep this message as you will need it when you link your AMEX to your Paypal account. Go to Paypal official website and login to your account. If you do not have Paypal yet, signing up for account is easy. Just choose “Buy online” option and personal account when you sign up. Navigate to the “Get Verified” option found in the navigation tab. Fill up the form shown with correct details. Choose American Express for card type. Supply the information sent to you by GCash. If you are missing some fields, just dial *143# then go to GCash AMEX and request for the details you need. Do not worry about the country having a fixed entry as “Philippines”. Just enter the personalized address supplied by Globe in the text boxes. Once the linking is successful, Paypal will charge you about 2 USD (1.95 USD to be exact, in my case) for card confirmation process. So, make sure that your Globe GCash account has funds. If not, Paypal will return an error advising you that the transaction is not allowed or forbidden. This amount will be refunded to your Paypal account when verification is finished. There is an additional 1 USD charge for linking the AMEX Virtual Pay card in your Paypal account. To sum up, the total amount will be about P135 pesos (depending on current peso-dollar value, typical rate: PhP45 = US$1). So, make sure you have enough funds before linking your GCash AMEX to Paypal. (Update) Current charges as of September 12, 2015: Linking GCash AMEX to Paypal: P48.22, Paypal Verification: P94.03 (Refundable). 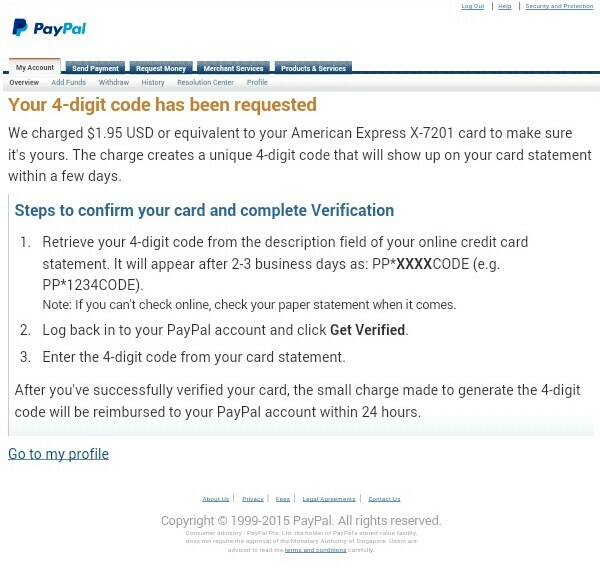 Paypal will send a four digit code to you (AMEX) and you need to enter the code to finish the verification. Since everything is virtual and Globe did the transaction for you through American Express, you need to request for this code. Send an e-mail to [email protected] and request for your Paypal code. Make GCash AMEX – Paypal as a subject of the e-mail and supply information like your GCash mobile number in the e-mail body. Globe GCash support will respond that they received your message. Normally, it will take 2 to 3 days before a Globe GCash representative will send you the code. After receiving the 4-digit code, enter it in your Paypal account by navigating to the “Get Verified” link again. Paypal will then refund the money from the card confirmation process. The refund may be instant or can be processed in a day. Congratulations! You are now Paypal verified. Verifying your Paypal account is really easy using Globe GCash American Express Virtual Pay. However, Paypal funds are not yet able to be withdrawn via Globe GCash AMEX. You may want to open a bank account to withdraw your Paypal funds in the future. Your GCash AMEX and Paypal is now linked. Meaning, you can do transactions online even your Paypal balance is zero as long as your GCash account has enough funds.